Let’s start with our newest throws for 2016. The Wool Herringbone throw is a classic herringbone weave that has enough pattern and texture to be interesting, but works well with any of our solids, stripes or plaids. 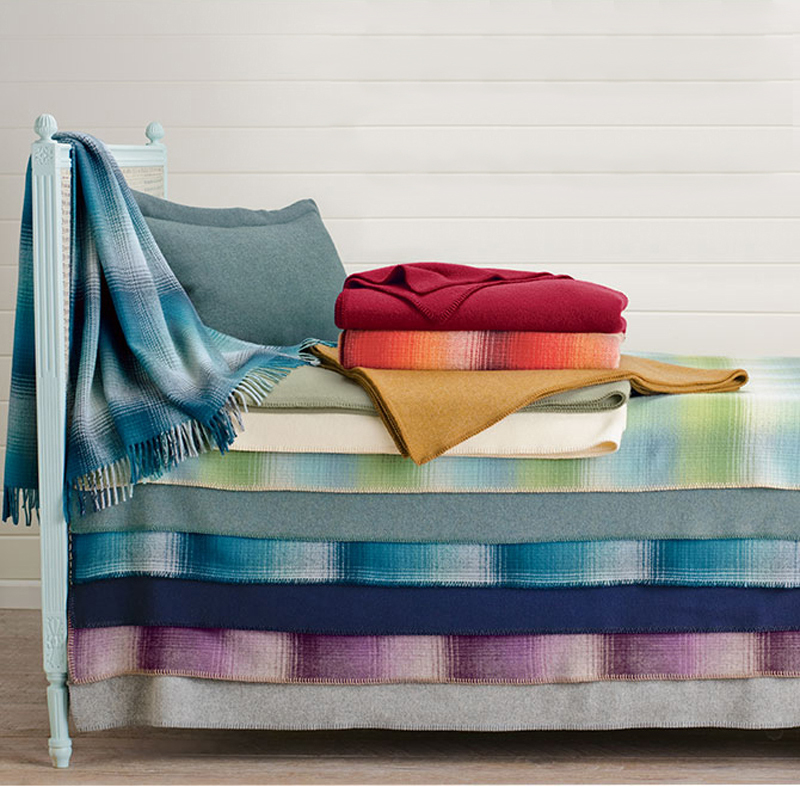 Also, we have bed blankets in the beautiful ombre plaids you think of when you think of Pendleton. Be sure to check out the classic plaids, stripes and checks, too. These new block plaids coordinate with the stripes, and they are just begging to be thrown over the arm of your sofa. The block plaid throws coordinate back to our one-color Pendleton Eco-Wise Wool® bed blankets. Here are some of our solids and heathers. Wool is a perfect choice for top-of-bed. There is a subtlety to the texture, nothing shiny or artificial about it, and the colors will remain true forever. Go warm with with traditional plaids, rustic with stripes and heathers, or keep it contemporary with checks. We have you and your bed totally covered. So give us a visit and see all our colorful ways to be green.